All versions of the game can be played for real or for free. Omaha Poker is also a very popular version of Poker and is enjoyed all over the world, for fun and real money. 7 Card Stud Poker can be played with up to 8 players. 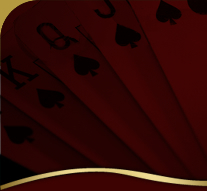 only the best five-card poker hand possible for each player is used to determine the winner. There is no pot limit or no limit type of betting for 7 card stud poker.